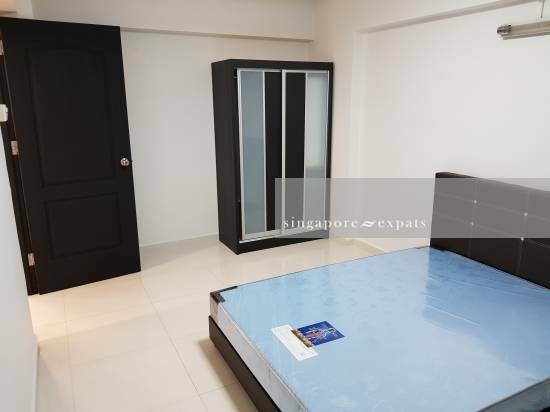 Singapore Property > Hdb Apartment > Boon Lay, Jurong, Tuas > Jurong East Street 21 > JURONG EAST 1 + 1 FOR RENT. Newly renovated! Fully Furnished with aircon and new furniture. 1 living + 1 master bedroom flat for rent. 1 room locked for owner storage. 10 mins walking distant to jurong east mrt station. Nearby coffeeshops and convenience shops. Good for single, couple or small family. Immediate available. ► All listings of JURONG EAST 1 + 1 FOR RENT. Nearest MRT Stations from JURONG EAST 1 + 1 FOR RENT. Nearest International Schools from JURONG EAST 1 + 1 FOR RENT. Nearest Primary Schools from JURONG EAST 1 + 1 FOR RENT.